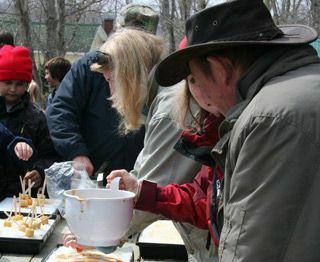 During the spring season, prior to the opening of the campground, Hagerman’s Sugar Bush is in full operation. This tradition has taken place at our farm for four generations. • Enjoy walking through our numerous maple groves and walking trails. During the spring maple season we offer school tours of the sugarbush that are customized for grade levels from kindergarten to high school. In addition, these tours are popular with church, multicultural, and other adult groups. 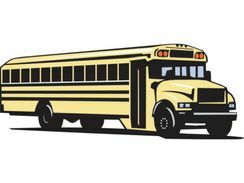 This 2-3 hour tour offers a pleasant combination of education and indulgence. Explanation of maple production beginning with First Nations to the present, the importance of maple to the rural community and an understanding of where and how this special food product came to be. Picnic tables will seat up to 200 for lunch break. Highly regarded as an expert in the maple industry, Mel Hagerman has been instrumental in mentoring many maple producers in the area, some of whom have gone on to establish their own maple sugar bush. For your information, we have downloaded a paper written by Mel Hagerman called The Magic of Maple that provides a detailed description of the current and historical methods for making pure maple syrup.